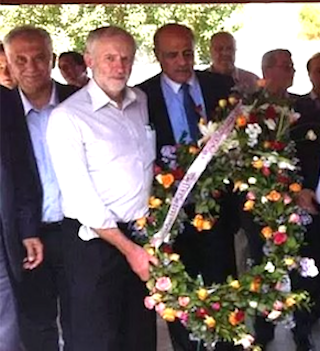 London, Islington: UK Labour Party Leader Jeremy Corbyn is speaking out forcefully after getting totally busted allegations surfaced that he attended a cemetery memorial service in Tunisia for the Black September terrorists who murdered 11 Israelis athletes at the 1972 Munich Olympic games. EDITORS NOTE: While this is satire, it is actually somehow less implausible than his actual excuse. On behalf of the Daily Freier and Israellycool, congrats on your new restaurant! Not to get too East Bay, but Hella Proud, know what I’m sayin’? Anyhoo, you know what every restaurant needs? A gigantic pepper shaker? No. Extra pumpkin spice? No & No. 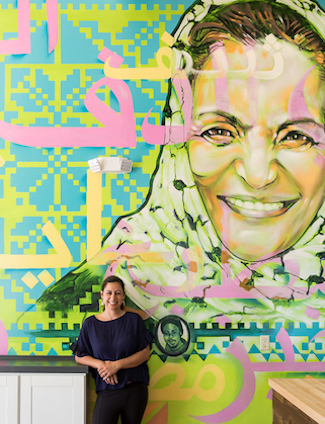 A big mural of an “Activist” like Rasmea Odeh? Yass Queen! And if we’re going to ‘normalize struggle’ (Your words! ), why stop with Rasmea? Let’s bring in more members of the Resistance! And in the interest of caring, we decided to help you come up with a great idea for a mural!